שפירא, ת., עראר, ח., עזאיזה, פ., הרץ- לזרוביץ, ר. (בדפוס, הוצאת פרדס חיפה) סיפורי חיים של מנהלות ערביות במערכות ציבוריות בישראל: מבט חברתי, תרבותי, פוליטי ומקצועי. Arar, KH., Shapira, T., Azaiza, F., Hertz-Lazarowitz R (2013). Arab Women in Management and Leadership: Stories from Israel, Palgrave Macmillan press, New York, USA. Osem ,G., & Hertz-Lazarowitz R. (2011). 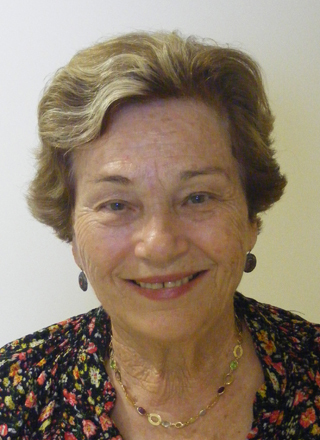 Cycles of Exclusion: The Story of Three Mothers of Kibbutz Education. Tel Aviv: Yad Tabenkin : Research and Documentation Center of the Kibbutz Movement . (Hebrew). Starhovsky, R., Hertz-Lazarowitz, R., & Orland-Barak L. (2008). Paths for Mentoring Teachers: Guide to the Perplexed. Tel Aviv: Mofet. Sharan, S. & Hertz‑Lazarowitz, R. (1981). Changing schools: The Small Group Teaching (SGT) Project in Israel. Tel Aviv: Ramot Publishing, Tel Aviv University, 338 pp. Second Edition: 1984. (Hebrew). Sharan, S. & Hertz‑Lazarowitz, R. (1979). Cooperation and Communication in Schools. Tel Aviv Schocken Publishing House 256 pp. (Hebrew). Azaiza, F., Abu-Baker, CH., Hertz-Lazarowitz, R., Ghanem, A. (eds.). (2009). Arab women in Israel: Current Status and Future Trends. Tel-Aviv: Ramot Publishing House, Tel Aviv University (Hebrew). Hertz-Lazarowitz, R., & Oplatka, I. (eds.) (2009). Gender and Ethnicity in The Israeli Academy. Haifa: Pardes Publishers. Oplatka, I. & Hertz-Lazarowitz, R. (Eds.) (2006). Women principals in a multicultural society: New insights into feminist educational leadership. The Netherlands: Sense Publishers, (216 pp). Slavin, R,. Sharan, S., Kagan, S., Hertz‑Lazarowitz, R., Webb, C., & Schmuck, R. (Eds.) (1985). Learning to Cooperate, Cooperating to Learn. New York & London Plenum Press, 472 pp. Sharan, S., Kussel, P., Hertz‑Lazarowitz, R. et al (Eds.) (1984). Cooperative Learning in the Classroom: Research in Desegregated Schools. Lawrence Erlbaum Associates. Hillsdale, New Jersey, 160pp. Sharan, S., Hare, P., Webb, C., & Hertz‑Lazarowitz, R. (Eds.). (1980). Cooperation in Education. Provo, Utah: Brigham Young University Press 407.pp.